Cover pencils by Gil Kane, inks by John Romita. The Thing in the Temple, script by Roy Thomas, pencils by Gil Kane, inks by Dan Adkins. 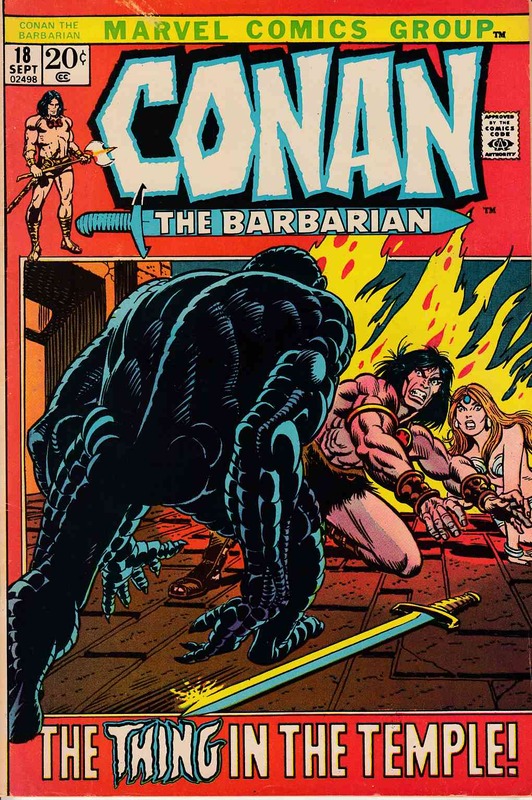 Island city of Bal-Sagoth in Vilayet Sea; Conan & Fafnir slay demons and flee from Bal-Sagoth as a volcano destroys the island; They are picked up in the Sea by Yezdigerd; adapted from the non-Conan story, The Gods of Bal-Sagoth by Robert E. Howard; Fafnir appearance.